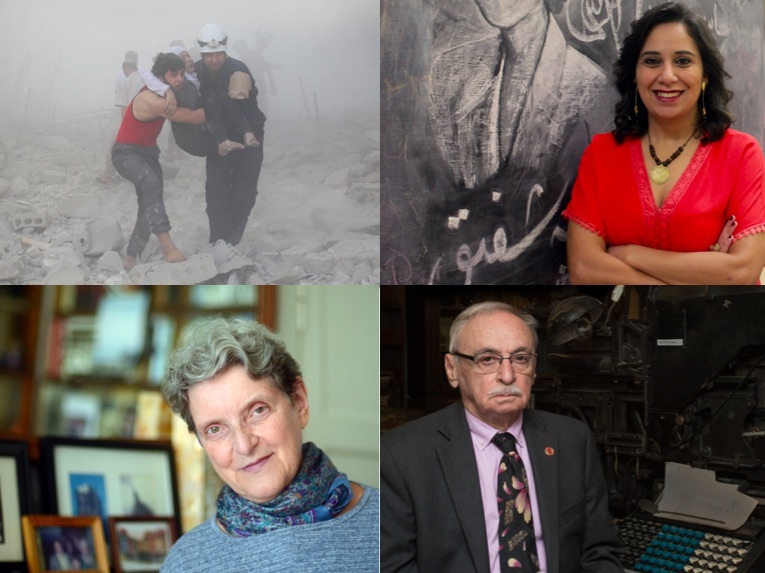 The world’s most pressing global issues – war, freedom of speech, women’s rights and the plight of migrants – have been driving the Right Livelihood Foundation’s jury in 2016. Syria Civil Defence (The White Helmets), ‘for their outstanding bravery, compassion and humanitarian engagement in rescuing civilians from the destruction of the Syrian civil war’. It is the first time that a Right Livelihood Award goes to a Laureate from Syria. Egypt’s Mozn Hassan and Nazra for Feminist Studies, ‘for asserting the equality and rights of women in circumstances where they are subject to ongoing violence, abuse and discrimination’. Russia’s Svetlana Gannushkina, ‘for her decades-long commitment to promoting human rights and justice for refugees and forced migrants, and tolerance among different ethnic groups’. Cumhuriyet, a leading independent newspaper in Turkey, ‘for their fearless investigative journalism and commitment to freedom of expression in the face of oppression, censorship, imprisonment and death threats’. The Right Livelihood Award was established in 1980 by German-Swedish philanthropist Jakob von Uexkull, who provided its initial funding of one million US dollars after selling his company. The international award, often considered as the alternative Noble Prize, is being bestowed „honour and support those offering practical and exemplary answers to the most urgent challenges facing us today“ in such fields as environmental protection, human rights, sustainable development, health, education, and peace.